Uh Oh! Who’s scanning the barcodes on my products? You put thought and effort into how consumers interact with and perceive your product. Would you be OK with a defective product getting onto store shelves? Would you be OK with a glaring packaging typo making its way to production? “Mt. 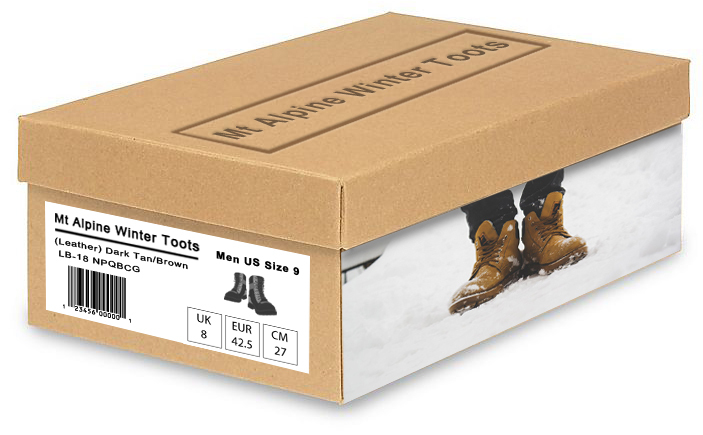 Alpine Winter Boots” are not going to be taken as the serious outdoor ready gear they are packaged as “Mt Alpine Winter Toots”. These kinds of mistakes undermine a consumer’s trust in your brand and their perception of your product. It makes sense that great care is taken to prevent these kinds of problems. But in the same breath, you might not think twice about making sure your product barcodes are scanning correctly. This is a big mistake! 10 years ago you would look pretty silly shopping for breakfast cereal armed with a barcode scanner. These days everyone has a fully featured barcode scanner in the pockets or purses. We’ve all had experience with bad barcodes. At the grocery store register, the cereal box fails to scan for the fifth time, and the cashier has to roll their eyes, huff, and lookup the product by hand. It takes an extra few seconds, but you go home with your cereal. The stakes are much higher if it’s the consumer doing the on-pack scanning. A failed scan is a dead-end for consumer engagement and satisfaction. They are not likely to keep trying and probably don’t know how to find the content otherwise. That failed scan becomes a direct reflection on the product and the brand. That is why Identification Labs, the testing division of Bar Code Graphics, tests hundreds of coupon barcodes every week for advertising agencies and manufacturers. A failed scan of a coupon is a negative experience for retailer and consumer. Starting in 2018, our testing center began 2D barcode verification and validation for the top cpg manufacturers joining the SmartLabel program. Companies don’t want to take any chances. What does that mean for you, proud brand owner? It means that the same care you put into your product design, your packaging, your website content, should be put into your consumer facing barcodes. That includes your UPC, which consumers can use to find product information and price shop, and other barcodes like QR Codes that link to expanded content like SmartLabel data or promotional website. What can you do? Starting with a quality barcode image is essential. Low resolution raster files are not suited for professional printing and packaging. Using a high resolution .EPS file, with built in corrections for how the packaging is printed, helps ensure easy scanning. Verification is also crucial. Barcode verification by a qualified standards and print quality expert confirms that barcodes can be read by a variety of scanning devices. 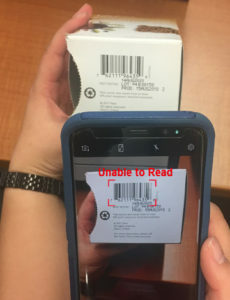 Checking your barcode using your own phone barcode app or handheld barcode scanner is only going to tell you that the barcode can scan for that particular device. Full ISO/ANSI verification is needed to make sure your barcodes are printed well and contain the correct data. Finally, take control of your product data. What are consumers seeing when they search the internet for your UPC? Is your product being sold through unauthorized channels? Are your competitors adding expanded product data online? What might consumers want to research when they are considering your product? Brien Fennell is a divisional manager at Bar Code Graphics for over 10 years. Brien develops and manages barcode compliance programs for a variety of industries. He has passed numerous GS1 certifications ranging from barcode print quality to digital content. As a leading authority on barcode structure and compliance, Brien has authored numerous industry and trading partner barcode guidelines.